Metaphor Alert: Newseum closing DC location after facing "unsustainable operating costs"
As goes the news industry, so goes Newseum, which came under fire from journalists for selling MAGA hats. Those concerns only grew in recent years, as its relatively high entry fee — about $25 per adult, surrounded by the free Smithsonian museums — and its reportedly consistent deficits portended ill for the Newseum’s financial future. Over the last two weeks as the Covington affair has dragged on, we have learned how most people in American media really feel about ‘Make America Great Again’ hats. In hindsight, we probably should have known that already. Back in August of this year, some journalists became incensed when they learned that the Newseum was selling MAGA hats and ‘fake news’ t-shirts. The Newseum in Washington, D.C., is an interactive museum that celebrates the role and history of the media in America. 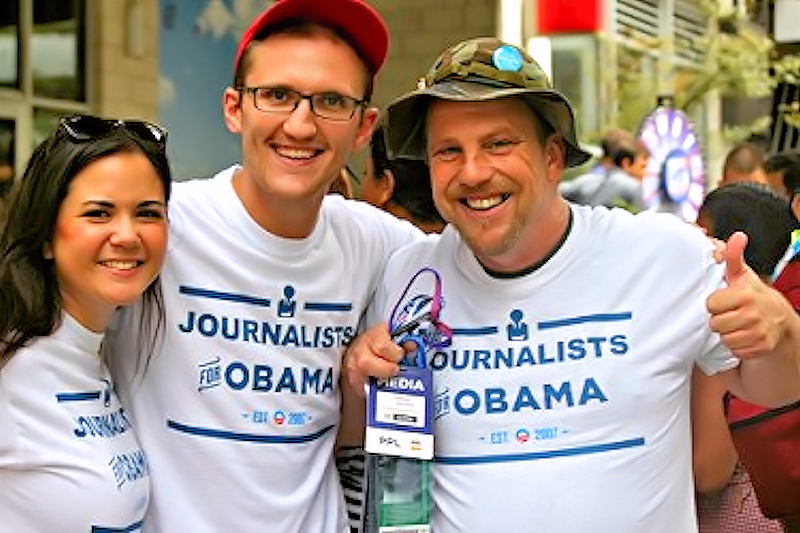 But a member of the White House press corps, on condition of anonymity, objected to the Newseum selling political merchandise, adding that “fake news” apparel was an “insult to journalists,” Poynter reported. Maybe if the Newseum had sold more MAGA hats and ‘fake news’ t-shirts, they wouldn’t have needed to sell their building. It’s something of a metaphor for the decline of the news industry. Interesting. I wonder what would have happened if this newseum sold American flags instead? “American media”. What an oxymoron. Here’s some bumper stickers they can sell. All the news that fits our script. I suggest they set up a booth at some area flea market. Or maybe have Dan Rather do pole dances at the “Ink Stained Wretch” Gentlemen’s Club in Norfolk VA. I was there when the Newseum was opened. It looked like a real estate investment, to me. It seemed very self-congratulatory at the time, and I never took my kids. They would still be in business if Dan Rather or Kneepad Nina Burleigh was doing their accounting. Send the back to their parents’ basement. OTOH, there are many opportunities in Detroit. FTA the facility cost $450 million and is now being sold for $372 million. An example of news business economics. Actually, it would shock me if the backers did not plan this trajectory, although slightly short of their target. Build a building for $450m, accept donations from suckers, pay the minimum payments on a balloon mortgage while siphoning off as much cash as they could, then dump it by bankruptcy the minute interest rates start rising. If I’m right, there are ‘special’ bondholders who will be paid off at 100% of their investment, and ‘sucker’ bondholders who will be paid off with whatever’s leftover, which will be peanuts. Then if they’re cagey, the smart investors are turning around and picking up the property at the bankruptcy sale so they can turn it around for the business they were planning on in the first place, cheap. This museum used to be on the other side of the river in Rosslyn and was one of my favorites. It was moderate size and free. Every time I was there it was jammed. At the mall location, they are in a cavernous building and very pricey. I can’t afford to go there anymore. Gee, who could have seen that coming? Why’d they build a monument for a bunch of people who should be in prison? Maybe if the Newseum had sold more MAGA hats and ‘fake news’ t-shirts, they wouldn’t have needed to sell their building. Um, what is this meant to imply? It sold as many of these items as people wanted to buy. If you think it should have sold more, you’re saying that they’re not popular enough, which I think is the opposite of your intent. I wonder what would have happened if this newseum sold American flags instead? What makes you suppose it didn’t? With all that glass, the building wasn’t designed to cut down energy costs. Rephrase: with all that glass the building wasn’t designed to cut down operating expenses. But not so incensed to stop propagating ‘fake news’ when it fit the liberal narrative, I suspect. With all that glass and in that location, it looks just like an expensive office building that never would have gotten the permits if it was built that way, but built as a museum, then going bankrupt, it may just turn into one. Imagine that. Yeah…seem odd for a museum dedicated to FREE speech and FREEdom of the press has a $25 cover charge…. Patriot: I ask you…at what price freedom…???? Free speech does not and has never meant “without cost”. The “free” in “free speech” is not the same word as the “free” in “free beer”. Everything costs money, and if you’re not paying it someone else is. So who exactly should pay for a museum if not its customers? Anyway…I’m aware freedom’s not free….ect….I was just joking, Milhouse. Although, according to InvisibleHand’s post, when the Newsuem was in a smaller building….it WAS free. 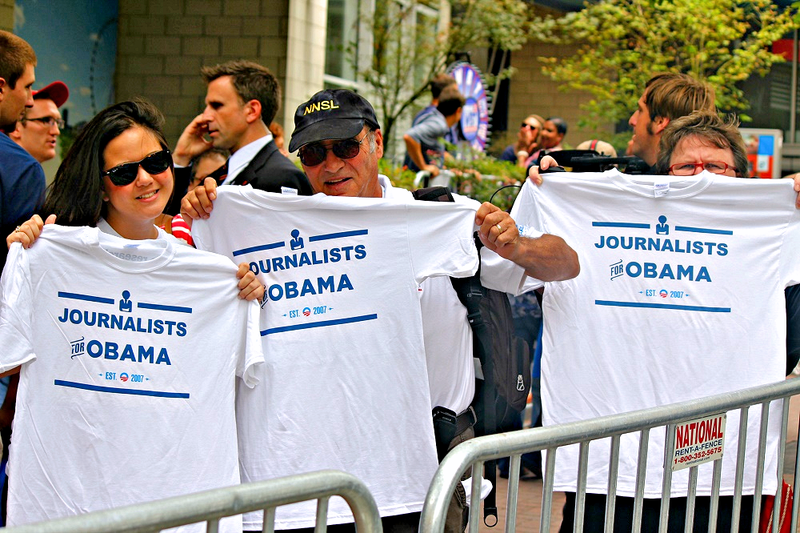 Yeah, sure, but so-called “journalists”/”reporters” were just fine and dandy – and oh so very proud – to don their “Journalists For Obama” t-shirts and wear them in public during Barack Hussein Obama’s campaign, the feckless Fake News lapdogs! Perhaps the Newseum should join Public Broadcasting and NPR to get government subsidies to cover their bad business model and bad business decisions, too. Or better yet, the House should pass a bill to fund it directly. It’s the “people’s newseum”…. The Newseum has more than one location? Who knew? And who cares? I have always had about as much interest in visiting the Newseum as I have had in experiencing a root canal. I was at The Newsuem last week and was REALLY impressed with the “Unidentified Sources Close To The Investigation” exhibit…. “The Newseum”? A museum dedicated to journalism? That’s got to be a joke. Journalists are supposed to report the news, not be the news. It’s almost like having an awards show for awards shows. No surprise that a university could afford to pay $372.5 million for the site with no worries about ‘unsustainable operating costs’ – just add to your student’s debt while collecting tax dollars from the Feds – Easy Peasy!